Andreas Hager is a stage director specializing in opera. American born Hager spent his childhood in Norway and later attended the piano studio at the Mimar Sinan Conservatory in Istanbul. After studying film at Oberlin and NYU, he focused on directing opera, working with many small companies around New York. He returned to school for an artist diploma in opera directing at the Cincinnati College-Conservatory of Music, directing productions of Matthaüs-Passion and Gianni Schicchi. 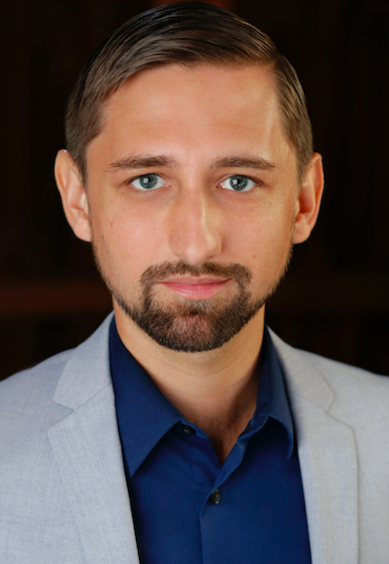 He was a 2018 Directing Fellow at Wolf Trap Opera, The National Opera Association's 2018 Directing Fellow, and a winner of the 2014 Opera America Director-Designer Showcase. His professional directing affiliations include the Houston Grand Opera, Opera Philadelphia, Cincinnati Opera, Opera Columbus and the New York Philharmonic. Other favorite productions include Dark Sisters (Opera Fayetteville), La belle Hélène (Opera North), and Le pauvre matelot (Pocket Opera of New York).